"Squatter" redirects here. For other uses, see Squat (disambiguation). For the resting position, where the weight of the body is on the feet, see Squatting position. Author Robert Neuwirth suggested in 2004 that there were one billion squatters globally. Yet, according to Kesia Reeve, "squatting is largely absent from policy and academic debate and is rarely conceptualised, as a problem, as a symptom, or as a social or housing movement." Squatting can be related to political movements, such as anarchist, autonomist, or socialist. It can be a means to conserve buildings or simply to provide affordable housing. In many of the world's poorer countries, there are extensive slums or shanty towns, typically built on the edges of major cities and consisting almost entirely of self-constructed housing built without the landowner's permission. While these settlements may, in time, grow to become both legalised and indistinguishable from normal residential neighbourhoods, they start off as squats with minimal basic infrastructure. Thus, there is no sewerage system, drinking water must be bought from vendors or carried from a nearby tap, and if there is electricity, it is stolen from a passing cable. During the Great Recession and increased housing foreclosures in the late 2000s, squatting became far more prevalent in Western, developed nations. Besides being residences, some squats are used as social centres or host give-away shops, pirate radio stations or cafés. In Spanish-speaking countries, squatters receive several names, such as okupas in Spain, Chile or Argentina (from the verb ocupar meaning "to occupy"), or paracaidistas in Mexico (meaning "parachuters", because they "parachute" themselves at unoccupied land). Entrepreneurial – e.g., people breaking into buildings to service the need of a community for cheap bars, clubs etc. In many countries, squatting is in itself a crime; in others, it is only seen as a civil conflict between the owner and the occupants. Property law and the state have traditionally favored the property owner. However, in many cases where squatters had de facto ownership, laws have been changed to legitimize their status. Squatters often claim rights over the spaces they have squatted by virtue of occupation, rather than ownership; in this sense, squatting is similar to (and potentially a necessary condition of) adverse possession, by which a possessor of real property without title may eventually gain legal title to the real property. Anarchist Colin Ward comments: "Squatting is the oldest mode of tenure in the world, and we are all descended from squatters. This is as true of the Queen [of the United Kingdom] with her 176,000 acres (710 km2) as it is of the 54 percent of householders in Britain who are owner-occupiers. They are all the ultimate recipients of stolen land, for to regard our planet as a commodity offends every conceivable principle of natural rights." Others have a different view. UK police official Sue Williams, for example, has stated that "Squatting is linked to Anti-Social Behaviour and can cause a great deal of nuisance and distress to local residents. In some cases there may also be criminal activities involved." The public attitude toward squatting varies, depending on legal aspects, socioeconomic conditions, and the type of housing occupied by squatters. In particular, while squatting of municipal buildings may be treated leniently, squatting of private property often leads to strong negative reaction on the part of the public and authorities. Squatting, when done in a positive and progressive manner, can be viewed as a way to reduce crime and vandalism to vacant properties, depending on the squatter's ability and willingness to conform to certain socioeconomic norms of the community in which they reside. Moreover, squatters can contribute to the maintenance or upgrading of sites that would otherwise be left unattended, the neglect of which would create (and has created) abandoned, dilapidated and decaying neighborhoods within certain sections of moderately to highly urbanized cities or boroughs, one such example being New York City's Lower Manhattan from roughly the 1970s to the post-9/11 era of the New Millennium. Adverse possession is a method of acquiring title to property through possession for a statutory period under certain conditions. Countries where this principle exists include England and the United States, based on common law. However, some non-common law jurisdictions have laws similar to adverse possession. For example, Louisiana has a legal doctrine called acquisitive prescription, which is derived from French law. There are large squatter communities in Kenya, such as Kibera in Nairobi. An estimated 1,000 people live in the Grande Hotel Beira in Mozambique. The Zabbaleen settlement and the City of the Dead are both well-known squatter communities in Cairo. In South Africa, squatters tend to live in informal settlements or squatter camps on the outskirts of the larger cities, often but not always near townships. In the mid-1990s, an estimated 7.7 million South Africans lived in informal settlements: a fifth of the country's population. The number has grown rapidly in the post-apartheid era. Many buildings, particularly in the inner city of Johannesburg have also been occupied by squatters. Property owners or government authorities can usually evict squatters after following certain legal procedures including requesting a court order. In Durban, the city council routinely evicts without a court order in defiance of the law, and there has been sustained conflict between the city council and a shack dwellers' movement known as Abahlali baseMjondolo. There has been a number of similar conflicts between shack dwellers, some linked with the Western Cape Anti-Eviction Campaign, and the city council in Cape Town. One of the most high-profile cases was the brutal evictions of squatters in the N2 Gateway homes in the suburb of Delft, where over 20 residents were shot, including a three-year-old child. There have been numerous complaints about the legality of the government's actions and, in particular, whether the ruling of the judge was unfair given his party affiliations and the highly politicized nature of the case. Many of the families are now squatting on Symphony Way, a main road in the township of Delft. The City of Cape Town has been threatening them with eviction since February 2008. In Mumbai, there are an estimated 10 to 12 million inhabitants, and six million of them are squatters. The squatters live in a variety of ways. Some possess two- or three-story homes built out of brick and concrete which they have inhabited for years. Geeta Nagar is a squatter village based beside the Indian Navy compound at Colaba. Squatter Colony in Malad East has existed since 1962, and now, people living there pay a rent to the city council of 100 rupees a month. Dharavi is a community of one million squatters. The stores and factories situated there are mainly illegal and so are unregulated, but it is suggested that they do over $1 million in business every day. Other squatters are pavement dwellers, with very few possessions. Activists such as Jockin Arputham, Prema Gopalan and Sheela Patel are working for better living conditions for slum dwellers, through organisations such as Mahila Milan and Slum Dwellers International. Many of Malaysia's squatters live on land owned by Keretapi Tanah Melayu, most notably railway reserve land along railway tracks, as well as at construction sites. Squatting is a major issue in the Philippines especially but not exclusively in urban areas of the Philippines. Squatting gained notice right after World War II, when people whose homes were destroyed by war were left homeless. They built makeshift houses called "barong-barong" on abandoned private land. In the late 20th century, the squatter population largely grew but the Philippine government has made separate attempts over the years to transfer some squatters to low-cost housing projects, such as projects in Tondo (in the former Smokey Mountain landfill), Taguig (BLISS Housing Project), and Rodriguez, Rizal. Philippine law, and society more generally, distinguishes between squatters who squat because of poverty and "professional squatters" who squat in hopes of getting a payment to leave the property. Philippine-based media and journalists refer squatters as "informal settlers." The National Property Administration, Ministry Of Finance website has an online system to report squatted lands. Though eviction has reduced their visibility or numbers in urban areas, many squatters still occupy land near railroad tracks, under overpasses, and waterways. Commercial squatting is common in Thailand, where businesses temporarily seize nearby public real estate (such as sidewalks, roadsides, beaches, etc.) and roll out their enterprise, and at closing time they fold it in and lock it up, thus avoiding the extra cost of having to rent more property. In many European countries, there are squatted houses used as residences and also larger squatted projects where people pursue social and cultural activities. Examples of the latter include an old leper hospital outside Barcelona called Can Masdeu and a former military barracks called Metelkova in Slovenia. In England and Wales, squatting in a residential building became illegal in September 2012, with a maximum penalty of six months in jail, a £5,000 fine, or both. In Italy, there is Bussana Vecchia, a ghost town in Liguria which was abandoned in 1887 following an earthquake and subsequently squatted in the 1960s. In France, there is Collectif la vieille Valette, a self-supporting squat village which has been active since 1991. There was a big squatting movement in the newly formed state of Austria following the First World War. Famine was a significant problem for many people in Austria and the "Siedler" (settler) movement developed as these people tried to create shelter and a source of food for themselves. The Ernst Kirchweger Haus (EKH) was squatted as a social centre in 1990 and legalised in 200. Nowadays from time to time empty buildings are squatted and in the most instances given up after negotiations with the authorities. There are some exceptions like in 2014, when about 1,500 riot police officers, a tank-like police vehicle, a police water cannon and helicopters have been used to clear a building occupied by the group "Pizzaria Anarchia" in the Austrian capital Vienna. Squat Milada in Prague was occupied in 1997 and evicted in 2009. Its longevity was in part due to the building not existing in the Land Registry. Klinika was an occupied social centre between 2014 and 2019. Christiania is an independent community of almost 900 people founded in 1971 on the site of an abandoned military zone. In Copenhagen, as in other European cities such as Berlin and Amsterdam, the squatter movement was large in the 1980s. It was a social movement, providing housing and alternative culture. A flashpoint came in 1986 with the Battle of Ryesgade. Another flashpoint came in 2007 when Ungdomshuset was evicted. While not technically a squat until 14 December 2006, it was a social centre used by squatters and people involved in alternative culture more generally. After a year of protests, the city council donated a new building. In the early twentieth century, several artists who would later become world famous, such as Guillaume Apollinaire, Amedeo Modigliani and Pablo Picasso squatted at the Bateau-Lavoir, in Montmartre, Paris. Paris moved to legitimize some popular artist squats in the mid-2000s by purchasing and renovating the buildings for artist–residents. In the 2010s there have been several land squats protesting against large infrastructure projects. These are known collectively as Zone to Defend or ZAD (French: zone à défendre), with the most famous ZAD being at Notre-Dame-des-Landes. In the 1970s, squatting in West German cities led to "a self-confident urban counterculture with its own infrastructure of newspapers, self-managed collectives and housing cooperatives, feminist groups, and so on, which was prepared to intervene in local and broader politics". The Autonomen movement protected squats against eviction and participated in radical direct action. After the German reunification, many buildings were vacated due to the demise of former state-run enterprises and migration to the western parts of Germany, some of which were then occupied by squatters. In Berlin, the now-legalised squats are in desirable areas such as Mitte and Prenzlauer Berg. Before the reunification, squats in Berlin were mostly located in former West Berlin's borough of Kreuzberg. The squats were mainly for residential and social use. Squatting became known by the term instandbesetzen, from instandsetzen ("renovating") and besetzen ("occupying"). Squatters moved into the former factory site of J.A. Topf & Söhne in Erfurt in April 2001 and remained there until they were evicted by police in April 2009. The firm made crematoria for Nazi concentration camps. The squatters ran culture programs which drew attention to the history of the company. The occupation was known simply as Das Besetzte Haus (the occupied house) and was one of the most well known actions of left-radicals of that period in Germany. 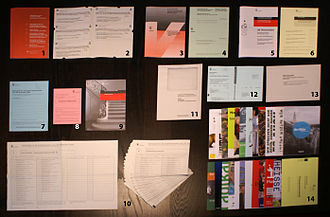 A book about the occupation was published in 2012, titled Topf & Söhne - Besetzung auf einem Täterort (Topf & Söhne - Occupation of a crime scene). Despite being illegal, squats exist in many of the larger cities. Examples are Au in Frankfurt and Rote Flora in Hamburg, although the last open squat of Berlin, Brunnenstraße183, was evicted in November 2009. Legalised housing project include Hafenstraße and Kiefernstraße. Squatting can also take place for campaigning purposes, such as the Anatopia project, which protested against a Mercedes-Benz test track. Starting from December 2012, Greek Police initiated extensive raids in a number of squats, arresting and charging with offences all illegal occupants (mostly Anarchists). Notable squats like Villa Amalias and "Patision & Skaramaga" in Athens, Parartima, Maragopoulio and Nikolaou Gkizi 33 in Patras, Antibiosi in Ioannina, Orfanotrofio in Thessaloniki and other squats have been evicted. Greek Authorities stated their intent to raid and evict all squats. In Reykjavík, the capital of Iceland, there is a small tradition of squatting. In 1919, anarchists occupied a building and were quickly evicted. Squatters occupied an empty house in downtown Reykjavík on Vatnsstigur street in April 2009. The squatters set up a freeshop and had plans for a social centre, but the occupation was quickly evicted by the police and 22 people were arrested. Vatnsstigur 4 was briefly resquatted on May 7, 2009, in solidarity with the Rozbrat squat in Poland, which was threatened with eviction. Also in 2009, a group of graffiti artists called the Pretty Boys occupied Hverfisgata 34. Their intention was to make a clandestine gallery and then when they were not evicted, they legalised the space and called it Gallery Bosnia. When the Reykjavíkur Akademían (the Reykjavík Academy) was evicted at short notice from Hringbraut 121 in November 2011, it was occupied in protest. The space, which had hosted lectures and also Iceland’s trade union and anarchist libraries, was moved to another location but the occupiers were unhappy that the new use of the building would be a guest house for tourists. An art exhibition was organised, with a camera obscura, live music and shadow theatre. The exact legal position of squatting in Ireland is ambiguous and the mechanisms for removing squatters from properties varies from case to case, sometimes going through the judicial process, other times not. Trespass and occupation of a property is not illegal, but as a definitive process for dealing with squatters does not exist, unlawful evictions do occur, sometimes with the support of the Garda Síochána (Irish Police). However certain 'squatters rights' do exist and can be invoked in the form of adverse possession. An occupant is entitled to legal possession of the title provided they are in continuous and uninterrupted occupation of the property for 12 years. To claim adverse possession the occupant must register an intent to claim the property with the land registry. Squatting has no major tradition in Ireland, arguably in part due to the perceived strong position of the title holder. It has largely been confined to major cities but with the construction of Ghost estates across the country there has also been a rise in occupations of residential spaces in rural areas. There have been major housing movements and periods of squatting in Ireland, including the activities of the Dublin and Derry Housing Action Committees of the late 1960s and early 1970s. Each had a militant campaign which participated in dozens or hundreds of actions and protests in demand of better housing conditions. In 2003 activists calling themselves 'Autonomous Community Spaces' entered 'Disco Disco' in Dublin's Parnell Square to turn the space in a social centre. They were violently evicted 24 hours later. From 2003 to 2004 the Magpie Squat was a residential space which housed activists in Dublin's Upper Leeson Street. It is also where the first meeting was held for the opening of what would become Dublin's first autonomous social centre Seomra Spraoi. In 2010 activists from Occupy Cork squatted a Nama Building in Cork city with the intention of using it as a community resource centre. It was vacated shortly after the occupation. In 2012 activists from Occupy Belfast squatted a Bank of Ireland building in Belfast city centre and used it as a social space. The occupation lasted several months before it was evicted. Squatting has seen a recent surge in Dublin city with frequent occupations of spaces. With squatting becoming more public, Dublin hosted the 2014 'International Squatter Convergence', previously held in cities such as Dijon, Berlin and Brighton. Squatting also became popularised by the successful neighbourhood resistance to an attempted eviction of a large community used squatted space in Grangegorman in Dublin city in 2015. The news of the eviction attempt and eventual successful resistance spread across social media and international news. The squatted complex enjoyed widespread support in the area and was also publicly supported by the city's Lord Mayor, Christy Burke and by Irish Times journalist Una Mullally. In Italy, squatting has no legal basis, but there are many squats used as social centres. The first occupations of abandoned buildings began in 1968 with the left-wing movements Lotta Continua and Potere Operaio. Out of the breakup of these two movements was born Autonomia Operaia, which was composed of a Marxist–Leninist and Maoist wing and also an anarchist and more libertarian one. These squats had Marxist-Leninist (but also Stalinist and Maoist) ideals and came from the left wing of Autonomia. The militants of the Italian armed struggle (the New Red Brigades) were connected to these squats. There are also far-right social centres such as CasaPound. There are many left-wing self-organised occupied projects across Italy such as Cascina Torchiera in Milan and Forte Prenestino in Rome. Squatting in Moldova is pretty new, as it started with Centro 73 in Chişinău in September 2010. This project was evicted soon after. A second project of squatting in Chişinău in the old Turkish embassy (57, Alexei Mateevici street), called Ada Kaleh, was evicted by police in November 2010. The Dutch use the term krakers to refer to people who squat houses with the aim of living in them (as opposed to people who break into buildings for the purpose of vandalism or theft). There are still many residential squats in Dutch cities. There are also some squats in the countryside such as a squatted village called Ruigoord near Amsterdam. Fort Pannerden (a military fort built in 1869) was evicted on November 8, 2006, by a massive police operation which used military machinery and cost one million euros. The squatters then re-squatted the fort on November 26 and have since made a deal with the local council which owns the fort. The deal states that the squatters will receive a large piece of land near the fort to start a community in the rural area in between the city of Nijmegen and Arnhem. In exchange, the fort was handed over to local authorities, who will turn it into a museum, with help provided by the squatters that used to live in Fort Pannerden. In the past, squats sometimes went through a process of legalisation. This is the case with the Poortgebouw in Rotterdam, which was squatted in 1980. In 1982, the inhabitants agreed to pay rent to the city council. The ORKZ (nl:Oude Rooms Katholieke Ziekenhuis) in Groningen, squatted in 1979, is an old Roman Catholic hospital, which was declared legal in the 1980s. In Amsterdam, OCCII, OT301 and Vrankrijk are examples of legalised spaces. The Grote Broek in Nijmegen was squatted in 1984 and legalised in the 2000s. There are also squats which refuse to legalise such as Anarres in Dordrecht (evicted in 2009), De Blauwe Aanslag in The Hague (evicted 2003), Het Slaakhuis (evicted) in Rotterdam, ADM (evicted) in Amsterdam and the Landbouwbelang and Villa Vendex in Maastricht. Squatting gained a legal basis in the Netherlands in 1971, when the Supreme Court ruled that the concept of domestic peace (huisvrede) (which means a house cannot be entered without the permission of the current user) also applied to squatters. Since then, the owner of the building must take the squatters to court (or take illegal action) in order to evict them. A law was passed in 1994 which made it illegal to squat a building which was empty for less than one year. There were several moves to ban squatting in the past. In 1978, the Council of Churches launched a protest which scotched the idea. In June 2006, two ministers from the Dutch government (Sybilla Dekker and Piet Hein Donner) proposed a plan to make squatting illegal. Other ministers, such as Alexander Pechtold, were not in favor of this plan. Representatives of the four largest Dutch cities wrote a letter stating that it would not be in their interest to ban squatting. Squatters nationwide made banners and hung them on their squats in protest. On June 1, 2010, the squatting ban was accepted by both houses of Parliament. Squatting in the Netherlands became illegal and punishable when a decree was sent out that the law would be enforced from the first of October. In protest, squatters in Amsterdam had occupied a former fire department the week before the law began (returning it to the owners control on 30 September) and a riot occurred on 1 October when the police blocked a protest and led a horse charge upon it. In Nijmegen (on 2 October), there was also a riot. Following legal challenges, on October 28, 2011, the Supreme Court of the Netherlands decided that the eviction of a squat can only occur after an intervention of a judge. The Dutch government assessed the effectiveness of the new law in 2015, releasing a report giving statistics on arrests and convictions between October 2010 and December 2014. During this time period, 529 people have been arrested for the act of occupying derelict buildings in 213 separate incidents. Of the 529 arrests, 210 were found guilty. Of those convicted, 39 people were imprisoned for the new offence. The oldest squat in Poland, Rozbrat, was created in 1994 in Poznań. Other squats are widespread across the country: Poznań (Magadan), (Od:Zysk), Wrocław (Era Kromera – evicted and closed, Centrum Reanimacji Kultury, Wagenburg Breslau), Warsaw (Syrena, Przychodnia), Kraków (Wielicka, Carandiru), Gdynia (Brovary Hills), Gliwice (Krzyk), Częstochowa (Elektromadonna), Białystok (DeCentrum), Grudziądz (Szach), Sosnowiec (M9), Gdańsk (NKS 3-Jan) and Ruda Śląska (Berza). Squatting of empty lots with shanty towns became popular in Spain in the 1960s and 1970s as a result of the shortage of urban accommodation during the rural exodus. Gradually it was substituted by high-rise blocks (often built quickly and poorly). It was revived in the mid-1980s during La Movida Madrileña, under the name of the okupa (an unofficial spelling applied to ocupación) movement, when thousands of illegal squatted buildings were legalized. Influenced by the British Levellers, the movement's popularity rose again during the 1990s, once more due to a housing crisis, this time related to the 1992 Summer Olympics and the concomitant urban regeneration. Property speculation and house price inflation continue to catalyze okupa activism. Eskalera Karakola A feminist squat in Madrid. 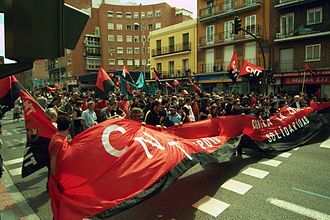 Related to the anarchist movement, okupas support the ideal of workers' self-management and create social centers, such as Patio Maravillas in Madrid, which carry out various grassroots activities. The okupa movement represents a highly politicized form of squatting, so much so that participants often claim they live in squats as a form of political protest first and foremost. The movement is involved in various other social struggles, including the alter-globalization movement. In 1996, during José María Aznar's presidency, the first specific legislation against squatting was passed and became the prelude to many squat evictions. In the barrio of Lavapiés in Madrid, the Eskalera Karakola was a feminist self-managed squat, which was active from 1996 to 2005 and participated in the nextGENDERation network. Other examples are the Escuela Popular de Prosperidad (La Prospe) o Minuesa. As of 2007, there were approximately 200 occupied houses in Barcelona. At least 45 of these, as Infousurpa, a collective event calendar, mentions, are used as social and cultural centers – so-called "open houses". A number of popular rock groups have come out of this kind of venue, such as Sin Dios, Extremoduro, Kolumna Durruti, Refugio and Platero y Tú in Madrid and Ojos de Brujo and Gadjo in Barcelona. In 2014, the unsuccesful attempts to evict the long-running social center of Can Vies provoked major riots. Another long-running squat is Can Masdeu. The Basque Country is another area where a high number of houses have been occupied. There are at least 46 squats, or gaztetxes ("youth's houses" in Basque). During the 1980s, a house was occupied by squatters in virtually every town, with the booming Basque punk rock thriving on the squatting movement, as it provided the badly needed premises for concerts, exhibitions, and other events. During the last 10 years, at least 15 gaztetxes have closed down, often following protests and clashes with the police. The eviction of Kukutza in Bilbao was met with largescale protests. Parallelly there has been a not-ideologized current of shanty towns around big cities. Initially settled by sedentarized Gitanos and Mercheros, they became known after the 1980s as selling points for heroin and other drugs. 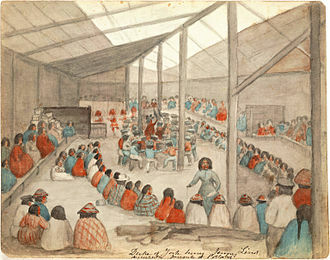 As the Spanish nomads were transferred to public housing, the shanty towns became inhabited by poor immigrants, including Moroccans and Romanian Romas. The Cañada Real Galiana is an example. There are squats in the Swiss cities of Bern, Geneva, Nyon, Winterthur, Lausanne, Basel, Biel/Bienne, Zürich and Lugano. In the middle of the 1990s, Geneva had 160 buildings illegally occupied and more than 2,000 squatters. The RHINO ("Retour des Habitants dans les Immeubles Non-Occupés"; in English, "Return of Inhabitants to Non-Occupied Buildings") was a 19-year-long squat in Geneva. It occupied two buildings on the Boulevard des Philosophes, a few blocks away from the main campus of the University of Geneva. The RHINO organisation often faced legal troubles, and Geneva police evicted the inhabitants on July 23, 2007. In Zurich there were large riots when the Binz occupation was evicted in 2013. The squatters moved to another building. In England, squatting has a long historical tradition. 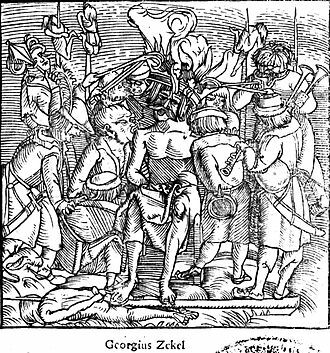 The BBC states that squatting was "a big issue in the Peasants' Revolt of 1381 and again for the Diggers in the 17th Century [who] were peasants who cultivated waste and common land, claiming it as their rightful due" and that squatting was a necessity after the Second World War when so many were homeless. The BBC also reported in 2011 that the British government estimated that there were "20,000 squatters in the UK" and "650,000 empty properties". On 1 September 2012, under Section 144 of the Legal Aid, Sentencing and Punishment of Offenders Act 2012, squatting in residential property was criminalised by the Government, punishable by up to six months in prison or a £5000 fine, or both. The same year saw the first successful prosecution for squatting, resulting in a 12-week jail sentence. However, squatting in a commercial building is still not a criminal offence. Squatting is a criminal offence in Scotland, punishable by a fine or even imprisonment, see Trespass (Scotland) Act 1865. The owner or lawful occupier of the property has the right to evict squatters without notice or applying to the court for an eviction order, although when evicting, they cannot do anything that would break the law, for example, use violence. The Forest Café in Edinburgh squatted its old premises in 2011 before moving to a new site. There have been several road protest land squats such as Bilston Glen and Pollok Free State. In 2010, a representative of the UK Bailiff Company claimed that the number of people squatting in Wales was at its highest for 40 years. The high number of businesses failing in urban Wales has led to squatting becoming a growing issue in large cities like Swansea and Cardiff. Experts said "the majority [of squatters] are forced into the lifestyle by financial pressures." Based on the internal database of UK Bailiff Company, there were 100 cases of squatting in 2009, the highest for 40 years, following trends estimated by the Advisory Service for Squatters that squatting has doubled in England and Wales since 1995. As with England, from 1 September 2012, squatting in a residential building was made a criminal offence subject to arrest, fine and imprisonment. In December 2012 Cardiff Squatters Network was formed, to network together squatters citywide, and host "skill-share" workshops on squatting legally in commercial buildings. Gecekondu (plural gecekondular) is a Turkish word meaning a house put up quickly without proper permissions, a squatter's house, and by extension, a shanty or shack. Gecekondu bölgesi is a neighborhood made of these informal settlements. Shortly after the eviction of Gezi Park, Don Kişot (Quixote) was occupied and stated to be Istanbul's first occupied and self-managed social centre. There are, or have been, several other political squats in İstanbul: Caferağa in Kadıköy was a squatted neighbourhood house evicted in December 2014. "Caferağa brings life, people, and productivity into that old rotting house" said local Turan Yildirim. In Beşiktaş, a place was occupied on March 18, 2014 and named Berkin Elvan Student House after a 15-year-old boy who was shot during the Gezi protests and later died. Atopya was squatted in Ankara in June 2014 by anarchists, who claimed it was the city's first political squat. In the United States, squatting laws vary from state to state and city to city. For the most part, it is rarely tolerated to any degree for long, particularly in cities. There have been a few exceptions, notably in 2002 when the New York City administration agreed to turn over eleven squatted buildings in the Lower East Side to an established non-profit group, on the condition that the apartments would later be turned over to the tenants as low-income housing cooperatives. Community organizations have helped the homeless to take over vacant buildings not only as a place to live but also a part of larger campaign to shine a light on inequity in housing and advocate change in housing and land issues. Some of these include the Association of Community Organizations for Reform Now, Take Back the Land and Homes not Jails. Squatters can be young people living in punk houses, low-income or homeless people, street gang members, or artists. During the Great Recession there were increasing numbers of people squatting foreclosed homes. There were also reports of people resquatting their own foreclosed homes. In Canada, there are two systems to register the ownership of land. Under the land title system, squatter rights, formally known as adverse possession, were abolished. However, under the registry system, these rights have been preserved. If a person occupies land for the required period of time as set out in provincial limitation acts and, during that time, no legal action is taken to evict or in trespass, the ownership in the land goes from the legal owner to the squatter. The Frances Street Squats in Vancouver were a row of six buildings squatted for nine months in 1990. They were evicted in a large operation and a film was subsequently made, called The Beat of Frances Street. In recent years there have been a number of public squats which have brought together the two main contemporary reasons for squatting – homelessness and activism. Examples are the Lafontaine squat in Overdale, a district of Montréal (2001), the Woodward's Squat in Vancouver (2002), the Infirmary Squat in Halifax (2002), the Pope Squat in Toronto (2002), the Seven Year Squat in Ottawa (2002), the Water Street Squat in Peterborough (2003) and the North Star hotel in Vancouver (2006). These were squats organised by anti-poverty groups which tended to have a short life expectancy. The Woodward's building was a derelict department store which had stood empty for nine years. After being evicted from the building, two hundred squatters set up a tent city on the pavement outside. The action is credited with putting in motion the eventual redevelopment of the building. The Peterborough Coalition Against Poverty (PCAP) publicly squatted 1130 Water Street, a building which stood empty after a fire. The group offered to repair the place and return it to its use as low-income housing. City officials agreed to the repairs and then the City Council voted to demolish the building. The cost of demolition was $8,900 and the cost of repairs had been projected to be $6,900. The North Star hotel was temporarily squatted as a protest against emptiness by the Vancouver Anti-Poverty Committee. In 2011, the 'Occupy Toronto squat team' squatted a basement at 238 Queen Street West and offered to take on a lease for 99 cents a year. They were evicted after eight hours. Around many South American cities there are shanty towns. Sometimes, the authorities tear the houses down, but often, the squatters simply rebuild again. The houses are built out of whatever material can be scavenged from the local area or bought cheaply. As time goes by, the squatters start to form communities and become more established. The houses are rebuilt piece by piece with more durable materials. In some cases, a deal is reached with the authorities and connections for sewage, drinking water, cable television and electricity are made. In Peru, the name given to the squatter settlements is pueblos jóvenes. In Colombia and Venezuela they are called invasiones (as in "invading a property", as squatting can be related to a building or an empty lot) and in Argentina they are known as villa miseria. In Chile the correct term used for the squatting is the similar term used in Spain "Casa Okupa". These houses share similar aspects with other squats around the world, such as being political and activist involved places, work as cultural and social centers and have their own subculture involve. They are normally associated with Anarchist Movement and they openly identify with the squatting movement, particularly the Movimiento Okupa in Spain. The mayor number of Casas Okupas are located in Valparaíso and Santiago de Chile. It must not be confused with another different housing situation which term is Tomas. These are particular situations of squatting that could be defined more like Shanty Towns, not necessarily involved with the Okupa movement. In Brazil, some of the squatter communities are called favelas, and a famous example is Rocinha in Rio de Janeiro, estimated to be home of 100,000 people. Favelas are mostly inhabited by the poorest strata, and usually lack much infrastructure and public services, but in some cases, already have reached the structure needed for a city. They are equivalent to slums or shanty towns, and typically occupy unused land (instead of unused or abandoned buildings). There were 25 million people living in favelas all over Brazil, as of 2004. There are also rural squatter movements in Brazil, such as the Landless Workers' Movement, which has an estimated 1.5 million members. In the 19th century, a squatter was a person who occupied a large tract of Crown land in order to graze livestock – the phenomenon is referred to in the song Waltzing Matilda. At first, this was done illegally, and later under license. From the 1820s they were part of the establishment, hence the term Squattocracy. Maps of pastoral lands were also known as squatting maps. This type of squatting is covered in greater detail at Squatting (pastoral). In more recent times, there have been squats in the major cities. It would be possible for squatters to be charged with criminal trespass under the Enclosed Lands Protection Act, but mainly, squatters are simply evicted when they are discovered. As in the United Kingdom, there is the law of adverse possession, but it is seldom used. In Sydney, streets of terraced houses in areas such as the Rocks and Potts Point were squatted to prevent their demolition in the 1970s. The Glebe estate in Glebe, New South Wales was squatted in the 1970s, and had an extensive influx of squatters in the 1980s. Also during the 1970s and 1980s, extensive parts of Woolloomooloo and Darlinghurst were also squatted, along corridors of houses bought to make way for new road works. Examples of these include "The Compound" in Darlinghurst and along Palmer Street in Woolloomooloo. Punks, political activists, musicians and artists also started squatting in "The Gunnery", a former Navy warehouse and training facility, in Woolloomooloo, during the early-to-mid-1980s. This squat, a large warehouse with several unusual spaces able to be used as theatres or other venues (thanks to its former use by the Navy) became a critical site for the development of arts and music in Sydney in the mid to late 1980s, with independent musical and art events being held there regularly. It is now an arts centre. The artists squatting empty buildings on Broadway owned by South Sydney City Council were evicted in 2001, a few months after the 2000 Olympics. The Midnight Star was a squatted theatre used as a social centre, hosting music events, a cafe, a library, a free internet space and a Food Not Bombs kitchen. It was evicted in December 2002 following its use as a convergence centre for protests against the November World Trade Organization talks. In 2003, a legal squat was organised for ten people who moved onto the site of an old incinerator at Green Square. A five-year-old squat was peacefully evicted in March 2008, when an office block in Balmain was demolished to make way for a park. The council voted to allow the squatters to stay in the building, which they called Iceland, until the plans for demolition were in place. One of the squatters said, "About 20 people have lived here over the years and it's been a place for band rehearsals, art projects, people practising dance routines, bike workshops. Squatting gives you a chance to think about things other than how you are going to pay the rent and ways to contribute to the world." There were estimated to be more than 120,000 unoccupied houses in Sydney in 2011. Melbourne squats are usually located in the inner suburbs, like Footscray, St. Kilda and Coburg. They tend to be houses that are waiting for demolition. A well-known squat in Carlton was organised by international students in 2008. A Squatter's Handbook was produced by activists in 1993, 2001 and 2010. In Europe, it is common for buildings to be squatted to be used as social centres. Cafés, bars, libraries, free shops, swaps shops and gyms have all been created, with many squats also holding parties and concerts. Social centers are often a combination of many things that happen in one space with the aim of creating a space for people to meet in a non-commercial setting, whether it be for a party, political workshop, to see a film, have a drink or have breakfast. There are many squatted social centers around the world, but they exist mainly in countries where squatting is legal. Examples include Ernst-Kirchweger-Haus in Austria, the RampART Social Centre in England, OT301 in the Netherlands and Ungdomshuset in Denmark (evicted on March 1, 2007, and demolished four days later)." Urban homesteading is a form of self-help housing where abandoned private properties in urban areas are taken over by the building's usually poor residents. Sometimes this takes the form of squatting, which is not legal under many jurisdictions. Urban homesteading – in which residents rehabilitate the apartments through their own labor – may depart from squatting in some ways, especially philosophically. While both groups may work initially with no permits, architectural plans or help from the government, self-help housing aims to manage the buildings cooperatively, and residents may work collaboratively with a non-profit organization or city government to legally obtain ownership of the building. In some cases, urban homesteading is an organic phenomenon that evolves as a grassroots strategy of residents for dealing with a lack of affordable housing, or a sizable existence of abandoned, depressed, neglected or foreclosed housing stock. Some cities have used it as a solution to creating affordable housing. Gecekondu Squatting public land in Turkey. ^ Barnett, Helen (April 2, 2015). "Squatters occupy building near Buckingham Palace to 'stick two fingers up to Queen'". express.co.uk. ^ Peñalver, Eduardo M. (March 25, 2009). "Homesteaders in the Hood". Slate Magazine. ^ a b c Pruijt, Hans (2011). "Squatting in Europe". International Journal of Urban and Regional Research. ^ "Statement from Detective Chief Superintendent Sue Williams, Borough Commander and Chair of the Community Safety Partnership" (Press release). London Borough of Redbridge. 2012-01-20. Archived from the original on 2012-05-16. Retrieved 2012-03-22. ^ Elms, Robert (November 22, 2011). "Squatting: The need for shelter versus property rights". BBC. ^ Srinivas, Hari. "Squatting: Defining Squatter Settlements". gdrc.org. Retrieved July 30, 2015. ^ Saff, Grant (1996). "Claiming a Space in a Changing South Africa: The 'Squatters' of Marconi Beam, Cape Town". Annals of the Association of American Geographers. 86 (2): 235–255. ISSN 0004-5608. JSTOR 2564004. ^ "Western Cape Housing Crisis: Writings on Joe Slovo and Delft" (PDF). Retrieved 2012-02-20. ^ "Manila | national capital, Philippines". Encyclopedia Britannica. Retrieved 2017-01-17. ^ "Republic Act No. 7279 – An Act to Provide for a Comprehensive and Continuing Urban Development and Housing Program, Establish the Mechanism for its Implementation, and for Other Purposes". Article I, Republic Act No. 7279 of March 24, 1992. Chan Robles Law Library. Retrieved March 2, 2016. ^ "From 'Squatters' Into 'Informal Settlers'". Philippine Human Rights Information Center. Pinyahan, Quezon City. September 6, 2014. Retrieved March 2, 2016. ^ Shahani, Lila Ramos (April 10, 2012). "Manila's biggest challenge". Views. Rappler. Oranbo, Pasig. Retrieved March 2, 2016. ^ Yasmeen, Gisèle; Narumol, Nirathron (2014). "Vending in Public Space: The Case of Bangkok" (PDF). WIEGO Policy Brief (16): 13–15. Retrieved 19 April 2017. ^ "Squatting becomes criminal act in England and Wales". BBC News. 2012-08-31. ^ Vossoughian, Nader (2008). Otto Neurath: The Language of the Global Polis. The Hague: NAi. ISBN 978-90-5662-350-0. ^ Pfeiffer, Alice (January 26, 2010). "Artists' Squats in Paris". The New York Times. ISSN 0362-4331. ^ "Στον ανακριτή ανά ομάδες οι 92 συλληφθέντες από τη βίλα Αμαλίας". in.gr. January 10, 2013. Retrieved 2013-01-10. ^ Grettisson, Valur (20 April 2017). "Reykjavík Of Yore: Squatting, And The Total Failure of Zoning". Reykjavík Grapevine. Retrieved 12 April 2019. ^ Fontaine, Paul (15 April 2009). "Squatters Take Over Downtown House". Reykjavík Grapevine. Retrieved 12 April 2019. ^ Fulton, Catharine (7 May 2009). ""We're persistent bastards!"". Reykjavík Grapevine. Retrieved 13 April 2019. ^ Beckett, RX (17 November 2009). "Refilling 101". Reykjavík Grapevine. Retrieved 13 April 2019. ^ Benjamin, Gabríel (3 November 2014). "The New Political Squat In Town". Reykjavík Grapevine. Retrieved 13 April 2019. ^ Exambrief. "Three men sentenced over forced eviction for landlord". Irish Times. Retrieved 2015-02-06. ^ Exambrief. "Grangegorman resists eviction". Rabble. Retrieved 2015-02-06. ^ Independent Woman (2007-09-19). "Squatters' rights to be reviewed – Property, Unsorted". Independent.ie. Retrieved 2012-02-20. ^ Exambrief (2011-10-15). "Squatter told he can stay in NAMA ghost estate home – National News". Independent.ie. Retrieved 2012-02-20. ^ Anarchist Writers. "The hidden history of squatting in Ireland". Struggle.ws. Retrieved 2015-02-06. ^ "Pictures of attack on Squat". Ireland: Ie.indymedia.org. Retrieved 2014-05-20. ^ "Squatting in Dublin : Housing is a Right not a Luxury". Struggle.ws. Retrieved 2014-05-20. ^ "Cork City Centre: Community Resource Center | Official Webpage". Corkcitycentre.wordpress.com. 2012-01-08. Retrieved 2014-05-20. ^ "Occupy protesters take over former bank in Belfast". Corkcitycentre.wordpress.com. Retrieved 2015-02-06. ^ Exambrief. "Squatter Supporters hurt in Grangegorman stand off". Irish Times. Retrieved 2015-01-06. ^ Exambrief. "Grangegorman squatters welcome "victory" as they resist eviction". The Journal. Retrieved 2015-01-06. ^ Exambrief. "Residents resist eviction, clash with police in Dublin suburb". Al Jazeera. Retrieved 2015-01-06. ^ Exambrief. "Lord Mayor Praises Squatters Work". Irish Independent. Retrieved 2015-01-06. ^ Exambrief. "The Grangegorman Squat". Irish Times. Retrieved 2015-01-06. ^ Squat Radar. "Barricade Inn". Squat Radar. Retrieved 2015-02-06. ^ Sylvia Thompson (2015-10-29). "Squatters bring life to old buildings". Irish Times. Retrieved 2015-11-06. ^ Wright, Steve (2002-02-20). Storming Heaven: Class Composition and Struggle in Italian Autonomous Marxism. Pluto. ISBN 978-0745316062. ^ "multimedia | centro 73 chişinău". Centro 73. Retrieved 2010-11-27. ^ "Politie hervat ontruiming Fort Pannerden". Nu.nl. Retrieved 2012-02-20. ^ "Fort Pannerden voorlopig niet ontruimd". Nu.nl. Retrieved 2012-02-20. ^ "Fort Pannerden blijft voorlopig". Indymedia.nl. Retrieved 2012-02-20. ^ Dee, E.T.C. (2018). Squatting the Grey City. Rotterdam: Cobble Books. ISBN 9780244385804. ^ Pruijt, Hans (2003). "Is the institutionalization of urban movements inevitable? A comparison of the opportunities for sustained squatting in New York City and Amsterdam". International Journal of Urban and Regional Research. 27 (1): 133–57. doi:10.1111/1468-2427.00436. ^ "Kraken wordt strafbaar". Nu.nl. 2010-03-16. Retrieved 2012-02-20. ^ "Grote steden tegen verbod op kraken". Nu.nl. 2010-03-16. Retrieved 2012-02-20. ^ "Landelijke spandoekenaktie kraakverbod". Indymedia.nl. Retrieved 2012-02-20. ^ "Eerste Kamer neemt antikraakwet aan – Binnenland". Volkskrant.nl. Retrieved 2010-10-02. ^ "Indymedia Netherlands Squat Ban Riot". Indymedia.org.uk. Retrieved 2012-02-20. ^ "whatever.squat.net". whatever.squat.net. Retrieved 2012-02-20. ^ "Squatters demo in Nijmegen". YouTube. 2010-10-02. Retrieved 2010-11-25. ^ Dee, E.T.C. (2016). "The Production of Squatters as Folk Devils: Analysis of a Moral Panic that Facilitated the Criminalization of Squatting in the Netherlands". Deviant Behavior. 37 (7): 784–794. doi:10.1080/01639625.2016.1145019. ^ "The vacancy crunch: The current housing crisis in the Netherlands and the repression of squatting". CNS Blog. 2016-05-14. Retrieved 2016-09-07. ^ Games Monitor. "The 'success' of Barcelona". Gamesmonitor.org.uk. Retrieved 2012-02-20. ^ "CASA Participants 2005". Casa.manifestor.org. Archived from the original on 2016-03-10. Retrieved 2012-02-20. ^ "nextGENDERation network". Nextgenderation.net. Retrieved 2012-02-20. 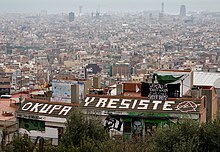 ^ "Squat demolition called off after four nights of rioting in Barcelona". The Telegraph. Retrieved 1 June 2014. ^ "The Basque Country And A Peace Process That Spain Is Ignoring". AN SIONNACH FIONN. Ireland. 2011-09-26. Retrieved 2019-04-03. ^ ¿Ilegales para siempre?., Javier Lafuente, El País, 19 March 2008. ^ La Cañada Real, foco de delincuencia y venta de droga, El Mundo, 18/10/2007. ^ Unos 200 vecinos de la Cañada Real Galiana protestan contra el desalojo de ayer con una marcha por la A-3., Público, 19/10/2007. 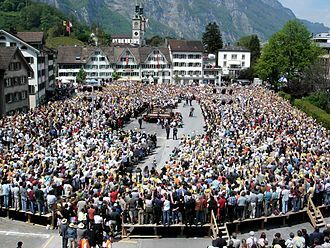 ^ a b Swissinfo (2007-07-23). "Geneva's historic Rhino squat evicted". Swissinfo. Retrieved 2019-03-26. ^ "Squatting in England: Heritage & Prospects". Crimethinc. Crimethinc. 13 May 2014. Retrieved 9 September 2016. ^ "Squatting set to become a criminal offence". 31 August 2012 – via www.bbc.co.uk. ^ "First person jailed for squatting". BBC News. 2012-09-27. Retrieved 2018-11-05. ^ "Squatting". Scotland.shelter.org.uk. 2010-07-23. Retrieved 2012-02-20. ^ "Protesters stage sit-in at community arts centre | News | Edinburgh | STV". Local.stv.tv. 1 December 2011. Archived from the original on 3 January 2012. Retrieved 28 November 2012. ^ "Man dies in fire at Bilston Glen protest camp". BBC. 31 January 2011. Retrieved 6 April 2019. ^ "Pollok Free State Lives On!". Do or Die No.5. 1995. Retrieved 2019-04-07. 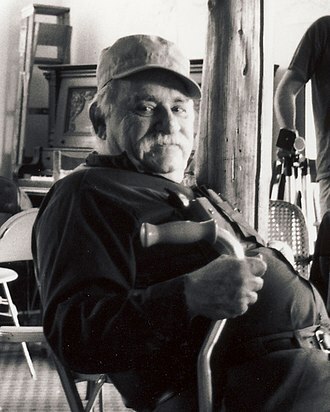 ^ a b Malone, Sam (2010-09-05). "Rise in squatters puts more Welsh homeowners at risk of huge eviction bills". Walesonline.co.uk. Retrieved 2012-02-20. ^ "Cwtch community group occupies Swansea's empty Dolphin Hotel". BBC News. January 31, 2012. ^ "WRU bosses vow to fight Occupy Cardiff squatters". Wales Online. November 29, 2011. ^ "Squatting set to become a criminal offence". BBC News. 2012-08-31. ^ "Squatters form Cardiff-wide network". Wales Online. December 11, 2012. ^ "From Madrid to Istanbul: Occupying Public Space". ROAR Magazine. 2014-01-12. Retrieved 2016-09-07. ^ "Istanbul: Caferağa Mahalle Evi squatted community centre in Kadıköy evicted". squat.net. 2014-12-19. Retrieved 2016-09-07. ^ "Carrying on Gezi's Legacy, One House at a Time". Istanbul Project. 2014-08-22. Retrieved 2016-09-07. ^ ""Berkin Elvan Student House" Opens in Istanbul". BIA news desk. 2014-03-19. Retrieved 2016-09-07. ^ "Atopya project website". Retrieved 2016-08-17. ^ "Atopya: Ankara' da İşgal Evi". Sosyalsavas. 2014-05-24. Retrieved 2016-08-17. ^ Amy Starecheski (2016). Ours to Lose: When Squatters Became Homeowners in New York City. University of Chicago Press. ISBN 9780226400006. ^ "Adverse Possession – The Law Behind Land Squatters". ^ a b "Labour Battles in B.C. and Quebec – Canadian Dimension". ^ "Using pastoral or squatting maps | National Library of Australia". www.nla.gov.au. Retrieved 2018-05-18. ^ "State Library of NSW Search – Manuscripts, Oral History, and Pictures Catalogue". Acms.sl.nsw.gov.au. Retrieved 2010-11-25. ^ "SquatSpace History – Broadway Squats". Squatspace.com. 2000-08-23. Retrieved 2012-02-20. ^ "SquatSpace History – Midnight Star". Squatspace.com. 2002-02-10. Archived from the original on 2012-03-03. Retrieved 2012-02-20. ^ Bryor, Lisa (October 7, 2003). "Home for Sydney squatters with fire in its belly". Sydney Morning Herald. ^ "Creagh, Sunanda Squatters out as bulldozer start engines". Sydney Morning Herald. 2008-05-05. Retrieved 2012-02-20. ^ "The art of setting up home for diddly-squat". Sydney Morning Herald. 2011-05-21. Retrieved 2012-02-20. ^ "Melb Squatters Guide". Melbournecio.org. Retrieved 2012-02-20. Cracking The System (2008) – A zine about squats and social centres in Europe inspired by the april2008 initiative. Also available online. Kadir, Nazima (2016). The Autonomous Life? : Paradoxes of Hierarchy and Authority in the Squatters Movement in Amsterdam (Reprint ed.). Manchester: Manchester University Press. ISBN 978-1-78499-411-2. Wikimedia Commons has media related to Squatting. Integral to the scheme is the establishment of a mutual-credit bank that would lend to producers at a minimal interest rate, just high enough to cover administration. Mutualism originated from the writings of philosopher Pierre-Joseph Proudhon, mutualists oppose the idea of individuals receiving an income through loans and rent, as they believe these individuals are not laboring. Though Proudhon opposed this type of income, he expressed that he had never intended. to forbid or suppress, by decree, ground rent. Insofar as they ensure the right to the full product of their labor, mutualists support markets. However, they argue for conditional titles to land, whose ownership is only so long as it remains in use or occupation, thus advocating personal property. Although mutualism is similar to the doctrines of the 19th-century American individualist anarchists, unlike them. Proudhon himself described the liberty he pursued as the synthesis of communism, Mutualism, as a term, has seen a variety of related uses. Charles Fourier first used the French term mutualisme in 1822, although the reference was not to an economic system, the first use of the noun mutualist was in the New-Harmony Gazette by an American Owenite in 1826. In the early 1830s, a organization in Lyons, France. Pierre-Joseph Proudhon was involved with the Lyons mutualists and adopted the name to describe his own teachings. Clarence Lee Swartz gives his own account of the origin of the term, claiming that he word mutualism seems to have been first used by John Gray,1826 saw the publication of the Constitution of the Friendly Association for Mutual Interests at Kendal, Ohio. By 1846, Proudhon was speaking of mutualité in his writings, Greene, in 1850, used the term mutualism to describe a mutual credit system similar to that of Proudhon. 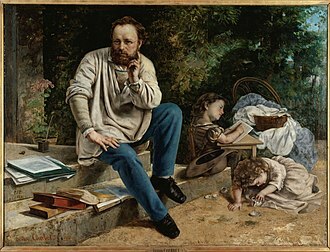 During the Second French Republic, Proudhon had his biggest public effect through his involvement with four newspapers, Le Représentant du Peuple, Le Peuple, La Voix du Peuple, Le Peuple de 1850. His polemical writing style, combined with his perception of himself as an outsider, produced a cynical, combative journalism that appealed to many French workers. Some anarcho-communists view anarcho-communism as a way of reconciling the opposition between the individual and society. Anarcho-communism developed out of radical socialist currents after the French Revolution, the theoretical work of Peter Kropotkin took importance as it expanded and developed pro-organizationalist and insurrectionary anti-organizationalist sections. To date, the examples of anarchist communist societies were the anarchist territories during the Spanish Revolution. Anarchist communist currents appeared during the English Civil War and the French Revolution of the 17th and 18th centuries, an early anarchist communist was Joseph Déjacque, the first person to describe himself as libertarian. Unlike Proudhon, he argued that, it is not the product of his or her labor that the worker has a right to, returning to New York he was able to serialise his book in his periodical Le Libertaire, Journal du Mouvement social. Published in 27 issues from June 9,1858 to February 4,1861 and this was the first anarchist journal to use the term libertarian. 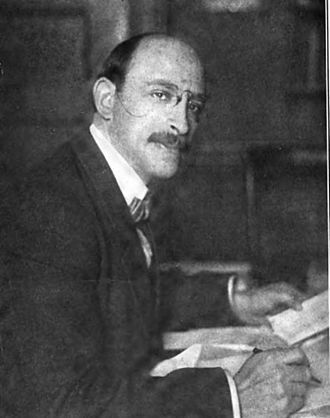 The French anarchist journalist Sébastien Faure and editor of the four-volume Anarchist Encyclopedia, started the weekly paper Le Libertaire in 1895. He saw anarchic initiative, reasoned will and the autonomy of each as the conditions for the revolution of the proletariat. In Déjacques view, a government resulting from an insurrection remains a reactionary fetter on the initiative of the proletariat. As Bakunins associate, James Guillaume, put it in his essay, Ideas on Social Organization, When production comes to outstrip consumption. But, Errico Malatesta stated that instead of running the risk of making a confusion in trying to distinguish what you and I each do, let us all work, the federal congress at Florence has eloquently demonstrated the opinion of the Italian International on this point. The above report was made in an article by Malatesta and Cafiero in the Jura Federations bulletin that year, Peter Kropotkin, often seen as the most important theorist of anarchist communism, outlined his economic ideas in The Conquest of Bread and Fields and Workshops. Antimilitarism is a doctrine that opposes war, relying heavily on a critical theory of imperialism and was an explicit goal of the First and Second International. Cynthia Cockburn defines an anti-militarist movement as one opposed to military rule, pacifism is the belief that disputes between nations can and should be settled peacefully. 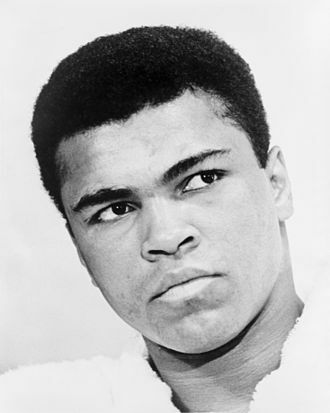 It is the opposition to war and the use of violence as a means of settling disputes and it can include the refusal to participate in military action. Antimilitarism does not reject war in all circumstances, but rejects the belief or desire to maintain a large, similarities are seen between Sorel and the International Workingmens Association theorization of propaganda of the deed. The violence that conserves the law is equivalent to the states monopoly of legitimate violence. The violence that founds the law is the original violence necessary to the creation of a state, revolutionary violence is totally separated from the juridical sphere. Giorgio Agamben showed the theoretical link between the law and violence permitted Nazi-thinker Carl Schmitt to justify the state of exception as the characteristic of sovereignty, thus indefinite suspension of the law may only be blocked by breaking this link between violence and right. Henry David Thoreaus 1849 essay Civil Disobedience, originally titled Resistance to Civil Government and his refusal to pay taxes is justified as an act of protest against slavery and against the Mexican–American War, in accordance to the practice of civil disobedience. He writes in his essay that the individual is not with obligations to the majority of the State, instead the individual should break the law if the law is is of such a nature that it requires you to be the agent of injustice to another. Capitalism has often thought by antimilitarist literature to be a major cause of wars. The military-industrial complex has been accused of pushing for war in pursuit of economic or financial interests. The assassination of French socialist leader Jean Jaurès days before the proclamation of World War I resulted in massive participation in the coming war, after World War II, US President Eisenhowers 1961 issued a warning on the influence of the military-industrial complex. 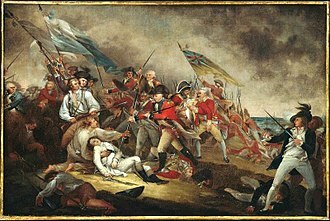 American right-wing antimilitarists draw heavily upon the statements of Thomas Jefferson and other Founding Fathers condemning standing armies, such an instrument is a standing army. Magonism is an anarchist, or more precisely anarcho-communist, school of thought precursor of the Mexican Revolution of 1910. The same Ricardo Flores Magón affirmed, Liberal Party members are not magonistas, in his literary work Verdugos y Víctimas, one of the characters responds indignantly when he was arrested and judged, Im not a magonist, I am an anarchist. They were influenced by the works of Marx, fernando Palomares, a Mayo indigenous, was one of the most active members of the Liberal Party who took part in the Cananea strike and libertarian campaign of 1911 in Mexicali and Tijuana. In the post-revolutionary Mexico, the figures of Flores Magón brothers was recollected by governments, the magonistas considered not fighting to change the administrators of the state, but to abolish them. For this reason, the survived magonistas continued to spread anarchist propaganda, the Mexican Anarchist Federation, founded in 1941 and active for about 40 years, edited the newspaper Regeneración and spread magonist thought. Insurrectionary anarchism is a revolutionary theory and tendency within the anarchist movement that emphasizes insurrection within anarchist practice. It is critical of organizations such as labor unions and federations that are based on a political programme. Instead, insurrectionary anarchists advocate informal organization and small affinity group based organization, insurrectionary anarchists put value in attack, permanent class conflict, and a refusal to negotiate or compromise with class enemies. Contemporary insurrectionary anarchism inherits the views and tactics of anti-organizational anarcho-communism and illegalism, platformist anarchist Joe Black says that There is a long tradition within anarchism of constructing ideologies out of a tactic. The long and deep involvement of anarchists in insurrections has, not surprisingly, an influential individualist concept of insurrection appears in the book of Max Stirner The Ego and Its Own from 1845. There he manifests, Mikhail Bakunin was historically important to the development of an anarchism that focused its force in insurrection, and since Bakunins time insurrectionary anarchists have been concentrated in Southern Europe. So between 1880 and 1890 with the perspective of an immanent revolution, who was opposed to the workers movement. They were opposed not only to political struggles but to strikes which put forward wage or other claims, but While they were not opposed to strikes as such, they were opposed to trade unions and the struggle for the eight-hour day. From 1905 onwards, the Russian counterparts of these anti-syndicalist anarchist-communists become partisans of economic terrorism, they were clearly meant to be exemplary, invitations to revolt. 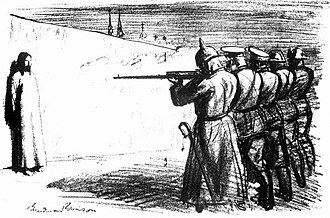 Such acts of rebellion, which could be individual were in the long run seen as act of rebellion and activists of these tactics among others included Johann Most, Luigi Galleani, Victor Serge, and Severino Di Giovanni. The Italian Giuseppe Ciancabilla wrote in Against organization that we dont want tactical programs and we dont form fixed programs and we dont form small or great parties. Nevertheless, he says We do not oppose the organizers and they will continue, if they like, in their tactic. Anarcho-pacifism is a tendency within anarchism that rejects the use of violence in the struggle for social change and the abolition of the state. 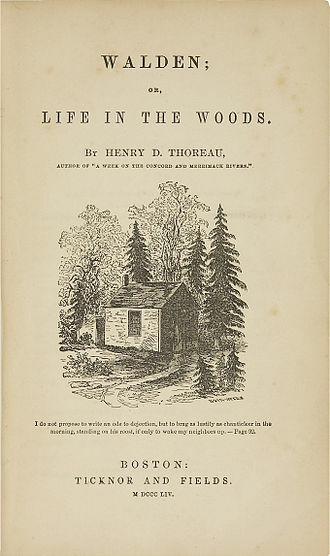 The main early influences were the thought of Henry David Thoreau, Henry David Thoreau was an important early influence in individualist anarchist thought in the United States and Europe. 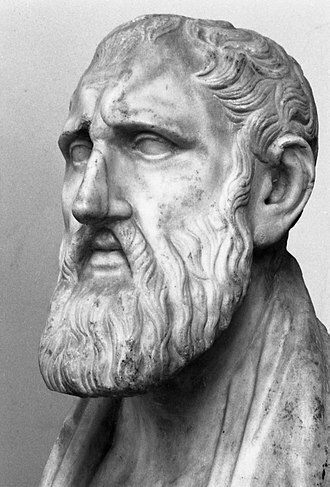 Thoreaus essay Civil Disobedience was named as an influence by Mohandas Gandhi, Martin Luther King, Jr. Martin Buber, according to the Peace Pledge Union of Britain, it was the main precedent for anarcho-pacifism. 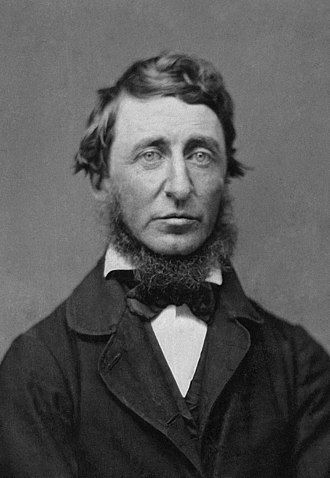 Thoreau himself did not subscribe to pacifism, and did not reject the use of armed revolt. He demonstrated this with his support for John Brown and other violent abolitionists, writing of Brown that The question is not about the weapon. 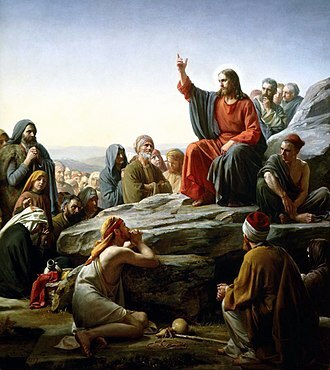 At some point anarcho-pacifism had as its main proponent Christian anarchism, the Tolstoyan movement in Russia was the first large-scale anarcho-pacifist movement. The movements adherents were active throughout Russia and followed a vegetarian diet, because of their refusal to recognize the authority of the Tsarist state they were targeted for severe repression and many were killed outright or relocated to Siberia. Most of them were killed in the purges under Lenin and Stalin, Violence has always been controversial in anarchism. While many anarchists embraced violent propaganda of the deed during the nineteenth century, ferdinand Domela Nieuwenhuis was instrumental in establishing the pacifist trend within the anarchist movement. The Ligue antimilitariste was to become the French section of the Association internationale antimilitariste founded in Amsterdam in 1904, tolstoys philosophy was cited as a major inspiration by Mohandas Gandhi, an Indian independence leader and pacifist who self-identified as an anarchist. Gandhis ideas were popularised in the West in books such as Richard Greggs The Power of Nonviolence, the latter is particularly important for anarchists since, as one himself, de Ligt specifically addressed those who lust for revolution. The more violence, the revolution, he declared. He linked Gandhian principled nonviolence with the nonviolent direct action of the syndicalists. The Conquest of Violence alludes to Kropotkins The Conquest of Bread, the American writer Dwight Macdonald endorsed anarcho-pacifist views in the 1940s and used his journal politics to promote these ideas. A black bloc is a name given to groups of protesters who wear black clothing, sunglasses, ski masks, motorcycle helmets with padding, or other face-concealing and face-protecting items. The clothing is used to conceal marchers identities, and hinder criminal prosecution and it is used to protect their faces and eyes from items such as pepper-spray which law enforcement often uses. The tactic allows the group to appear as one large unified mass, Black bloc participants are often associated with anarchism. The tactic was developed in the 1980s in the European autonomist movements protests against squatter evictions, nuclear power and restrictions on abortion, as well as other influences. This tactic was developed following increased use of force following the 1977 Brokdorf demonstration by the German police in 1980, particularly aimed at anti-nuclear activists. Key areas for development were Hafenstraße, and Kreuzberg. These were social spaces occupied by dissidents who preferred to create their own social institutions based on communal living, in June 1980, the German Police forcefully evicted the Free Republic of Wendland, an anti-nuclear protest camp in Gorleben, Wendland. This attack on 5,000 peaceful protesters led many former pacifists to become willing to use violent methods, by December 1980 the Berlin City Government organised an escalating cycle of mass arrests, followed by other local authorities across West Germany. The squatters resisted by opening new squats, as the old ones were evicted, following the mass arrest of squatters in Freiburg, demonstrations were held in their support in many German cities. The day was dubbed Black Friday following a demonstration in Berlin at which between 15,000 and 20,000 people took to the streets and destroyed an expensive shopping area. The tactic of wearing black clothes and masks meant that the autonomen were better able to resist the police. The German media labeled them der schwarze Block, in 1986 Hamburg squatters mobilised following attacks on the Hafenstraße. A demonstration of 10,000 took to the streets surrounding at least 1,500 people in a black bloc and they carried a large banner saying Build Revolutionary Dual Power. A black bloc group in a feeder march near the World Bank, in Washington, D.C. in 2009. Some black bloc protesters wear hoods, allowing their faces to be viewed, while others use such items as scarves, dark sunglasses or masks to conceal their faces as much as possible. 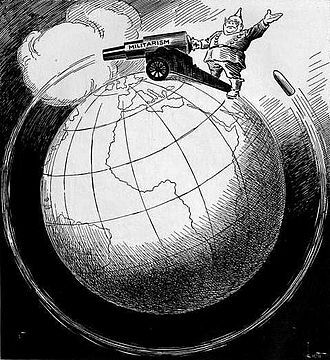 It Shoots Further Than He Dreams antimilitarist cartoon by John F. Knott. First published in March 1918. 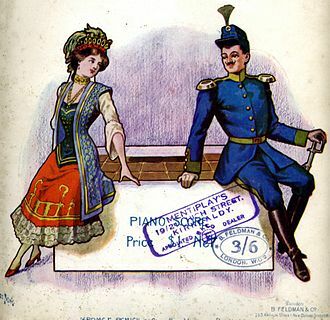 Cover of the Piano Score for the light opera The Chocolate Soldier, based on George Bernard Shaw's Arms and the Man – both of which make fun of armies and militarist virtues and present positively a deserter who runs away from the battlefield and who carries chocolate instead of ammunition. Mihály Zichy painting "The Victory of the Genius of Destruction", made for Paris Exposition of 1878, was banned by French authorities because of its daring antimilitarist message. A panoramic view of the interior of the Lucy Parsons Center in Boston, United States.